In October, I had the pleasure of representing ASEM in the technical sessions, workshops, and vendor booth at the American Institute of Chemical Engineers (AIChE) annual conference in Pittsburgh, Pennsylvania, USA. Trish Simo Kush and Patrick Kush first gave me a quick rundown on how to engage folks who stopped by the booth. It was enlightening to see so many of my fellow ChEs interested in growing their careers with ASEM’s support in the EMBOK, certification, membership, and chapters. Perhaps the most interesting workshop at the conference was on the topic of unconscious bias, diversity, and inclusion. The term “covering” was used to define when we conceal an important aspect of ourselves in order to respond to perceived fears or workplace threats. We typically cover in four areas: appearance, affiliation, advocacy, and/or association. About 60% of all people “cover” in the workplace by changing or hiding characteristics within these four arenas. One lady shared that she covered her affiliation by concealing that she had grown up very poor. While many others viewed her story as one of resilience and perseverance, she expressed shame. And that is the lesson we can all learn about unconscious bias, diversity, and inclusion. Our own perceptions – of ourselves and of others – can limit our ability as leaders. We must work to build trust by communicating openly and honestly in the workplace. An inclusive work environment leads to better talent acquisition and improved outcomes for the organization as a whole. Another great session at the AIChE conference taught engineering and technology leaders that marketing is not bragging. Each individual must understand his or her own values to craft a personal brand. Our brand includes business and technical skills, soft skills, and our reputation. We reflect our personal brand through social media, in presentations, and in our daily workplace conversations. The take-away: It’s okay to share our achievements as successful engineers and engineering managers. Yet another workshop built upon these themes by teaching that communication is at the core of successful project management and execution. Projects are as much about people as they are about scope, schedule, and budget. Learning to trust your team and to have them trust you as a leader is more important to successful project implementation than is creating a perfect Gantt chart. I also had the pleasure of attending AIChE’s Management Division’s award presentation to Gayle Gibson, retired from DuPont. She, along with other panelists led by ASEM member, Harold Conner, described challenges in transforming organizations. Communication, trust, and diversity also were webs throughout the panelists’ remarks. I want to thank ASEM for creating a presence within the AIChE community. As a ChE and a CPEM, I may be biased, but I see significant opportunities for a mutually beneficial relationship to continue between the associations. Based on booth attendance, we definitely should have more members with a ChE background joining us soon at ASEM! 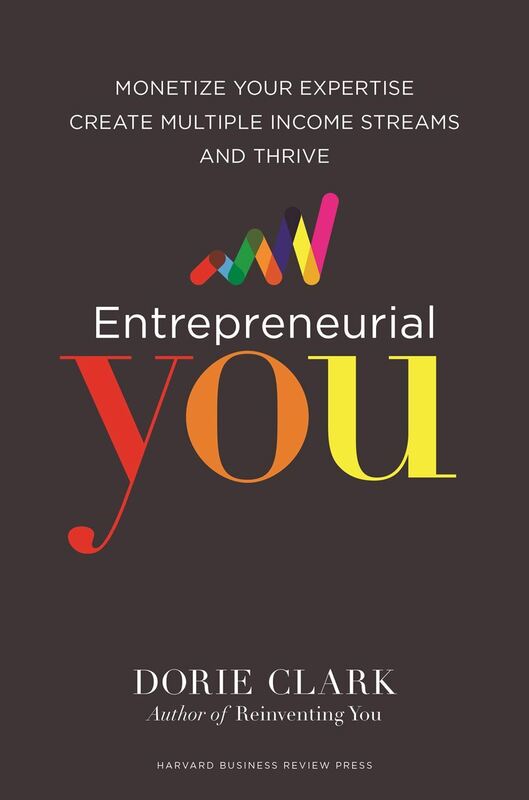 Entrepreneurial You by Dorie Clark. Harvard Business Review Press: Boston, MA (2017). 254 pages. US$28.00 (hard cover). My home office is about three miles from my gym. During the winter, when the sun sets early, I walk to the gym rather than ride my bike. You just can’t trust that cars will see a cyclist! Walking gives me 50 minutes a day to listen to podcasts or music. I often listen to the Harvard Business Review’s podcast. A recent episode included an interview with Dorie Clark on the topic of portfolio careers. I knew I had to read the book after listening raptly to stories of entrepreneurs diversifying their income streams. And, “Entrepreneurial You” did not disappoint. “Entrepreneurial You” is a great book for engineering managers, professors, and anyone who works more than one job. Some of us already own small businesses and can use Ms. Clark’s guidance to grow our influence while others can reference the book as they consider free-lancing or post-retirement careers. The first two chapters of “Entrepreneurial You” teach us to build our own brand. Just like a product has an expected reliability, each person must establish himself or herself as a trusted expert in his or her own field. “We have to find a way to build trust with the people in our audience and make them want to do business with us,” (pg. 19, emphasis added). Part Two of “Entrepreneurial You” offers tactical and operational guidance for entrepreneurs to build portfolio careers. Chapter 4, for example, illustrates steps to become a coach or consultant. Chapter 6 advises how to set up a podcast and monetize the activity. Finally, Chapter 8 describes how many business people have set up exclusive events and conferences for specialized audiences to share and learn from one another. So, even if you are not considering another gig, you can use the information from these chapters to enhance organizational communication. In Part Three, the author describes various online avenues to expanding one’s reach and influence. To be honest, Chapter 11 on affiliate marketing makes me a bit uncomfortable, but the author assures us throughout the text that moving out of our comfort zone is a pathway to growth. In this chapter and others, she emphasizes the importance of growing a mailing list (also important for any engineer working in sales or marketing). Ms. Clark concludes “Entrepreneurial You” in Chapter 12 with the advice to choose from the buffet of options in the book to construct a portfolio career that fits our own unique lifestyle. For example, while growing my business is important to me, it’s also a priority for me to work out at the gym every day. Understanding who you are, and your own strengths and weaknesses make you better suited to selecting appropriate, diversified income streams. I really enjoyed reading “Entrepreneurial You.” You can listen to the HBR podcast here (about 20 minutes) to see if you want to invest another 5 or 6 hours reading the book. My copy is highlighted and dogeared as I continue to review and revisit much of the information presented. I highly recommend “Entrepreneurial You” for anyone who has embarked upon or plans to begin a free-lance, portfolio careers as an engineer, engineering manager, or consultant. What is your biggest challenge in managing multiple careers? In this ninth installment on the Engineering Management Body of Knowledge, I tackle a subject near and dear to my heart: Systems engineering. Today, I’m going to share an overview of what systems engineering is and some of the major themes and concepts from that domain. One of the first issues most people face in understanding systems engineering is in defining what systems engineering is in the first place. The International Council on Systems Engineering (INCOSE) calls systems engineering an interdisciplinary approach and means for the realization of successful systems. Systems engineering has been called a practice, a process, and a profession. A system can be just about anything that transforms inputs into outputs, but is traditionally understood to be a large scale, complex design, like a warship, or an enterprise, for example. 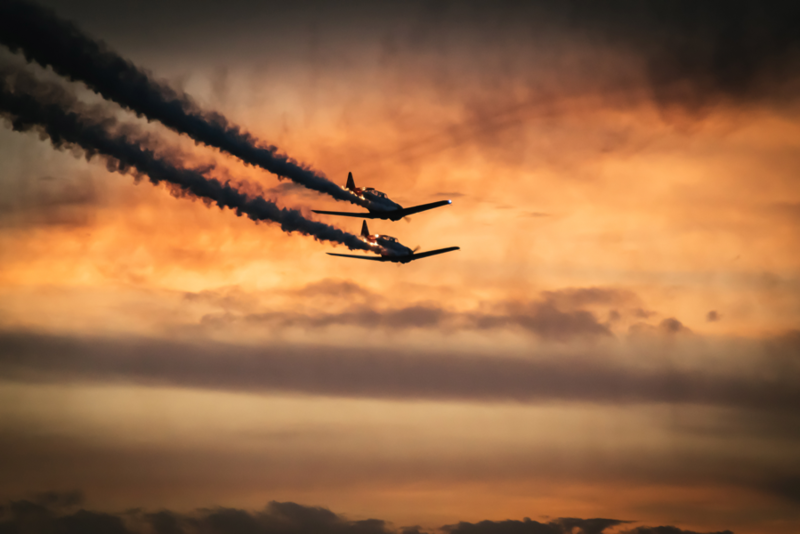 Systems engineering emerged as a response to the failure of traditional engineering design methods to deal well with the increasing complexity and interconnectedness of engineering designs, particularly in the defense and aerospace industries following the Second World War. Systems engineering aims to deal with the complexity and complicatedness of modern systems through specialized techniques that allow for systems that, at the end of the day, perform how they’re meant to at a cost agreeable to the customer. What Does Systems Engineering Focus On? Systems engineers focus a great deal of time and attention on defining needs and functions early in the development of a system. Before any detailed design, there are several iterations of requirements definition and analysis to ensure that what is being designed meets the strategic objectives and the tactical needs of the acquiring organization. After all, if you’re designing a fighter jet, there are a lot of needs and requests that need to be balanced and understood! Along with a focus on detailed requirements gathering, there is also a focus on documentation. While this is important for all engineers, the importance of careful documentation grows exponentially along with the complexity of the system, the number of stakeholders involved, and the timespan over which the design is executed. Systems engineering demands that a system be designed with all of these stages in mind from the start. For example, understanding the constraints in place to retire a given system will likely influence the materials used in the production stage. System – A system is a “whole” consisting of interacting “parts”. For systems engineering purposes, systems are generally man-made, developed and used for a specific environment to deliver specific benefits. Emergent Behaviour – A system’s emergent behaviour is that which cannot be fully understood by the behaviour of the individual constituent parts. Systems engineers seek to understand and manage emergence in their systems. Validation and Verification – A system is valid when it’s the right system for the job. A system is verified when it has been shown to meet all of its requirements. In other words, validation and verification are used to show that you built the right system, and that the system was built right. Enabling Systems – Enabling systems are those other systems that exist at various points throughout the lifecycle of a given system that enable it to exist or operate. For example, an airport would be an enabling system for an airplane during the airplane’s utilization stage. A factory could be an enabling system for that same airplane’s production stage. The use of systems engineering can be extremely valuable when conducting systems projects. A study by Eric Honour showed that spending 14% of a systems project’s budget on systems engineering helped those projects get completed on time and on budget. The same study showed that over- or under-spending on systems engineering was correlated with poor budget and schedule performance. Perhaps the most important takeaway for non-systems engineers is that an early focus on a system’s constraints and requirements can pay enormous dividends later in the systems’ life. While it can often be tempting to jump into design in order to show “progress”, patience in the early days of a project can be extremely valuable. I suspect many of us have been in situations where we worked quickly to complete an assignment, only to have our customer say, “This isn’t what I wanted!”, even if it was what they asked for. Using the tools and techniques developed by systems engineers can avoid this kind of problem, and help get the right systems delivered, on time, and on budget. Dr. Kwasa’s research focuses on value-based systems engineering and multidisciplinary design optimization. 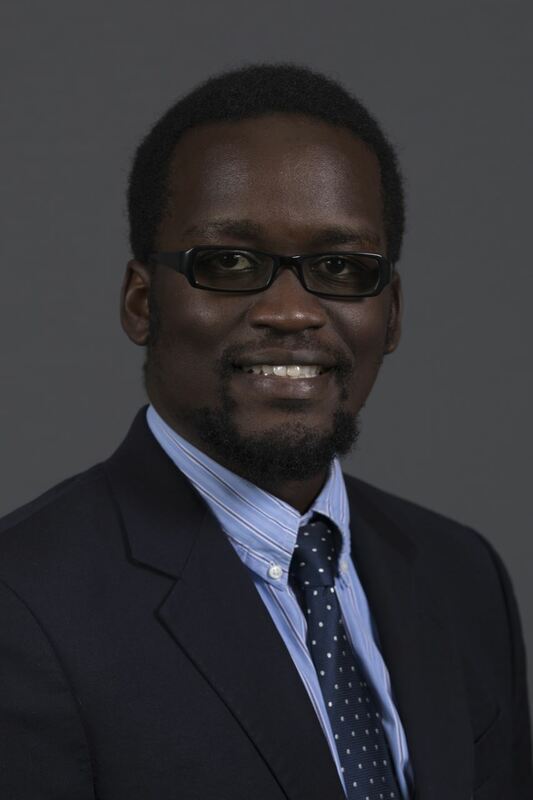 Dr. Kwasa’s current research involves UAS design and applications, healthcare systems integration and organization design for large-scale complex engineered systems. Kwasa attained his Bachelor’s, Master’s and Doctorate degrees from Iowa State University between 2008 and 2017. His B.Sc and Ph.D were earned in Aerospace Engineering while his M.Eng was earned in Systems Engineering. Originally from Kenya, Kwasa very much enjoys looking for ways to solve engineering problems by lessons learned from numerous life experiences growing up in a developing nation. This award recognizes ASEM student chapter excellence. Steven M. Corns an Associate Professor of Engineering Management and Systems Engineering at Missouri University of Science and Technology. He received his PhD degree in mechanical engineering from Iowa State University in 2008. 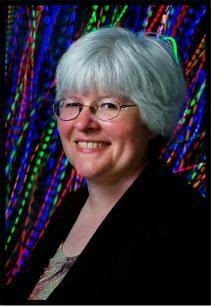 Dr. Corns research interests include computational intelligence applications, the mechanics of information transfer in evolutionary algorithms, and model based approaches for complex systems design and analysis. This award recognizes graduate engineering management program leadership. Friends, it is an honor to serve as your ASEM President and I look forward to the upcoming year. I hope that each of you, whether members of long standing or new members from recent conferences, will feel free to reach out to me with any comments or suggestions to make this YOUR society. I hope that many of you were able to share your thoughts in the recent survey and I want to promise you that we are listening. We will spend the year expanding our professional training offerings and making sure that all products and services fit your needs as engineering managers, whether in academia or industry. Speaking of conferences, another hearty thank you to our hosts, technical program committee, and our wonderful ASEM WHQ staff for making the 2018 IAC an amazing success! A special thank you to three wonderful women: Angie Cornelius, Ean Ng, and Denise Engelbrecht. I think all will agree that they were the life and soul of the meeting! Wow! What an incredible program of offerings, surrounded by an unbelievable venue! I came back energized and proud to be part of ASEM; I hope all who attended felt the same. When I say that this is your society, I truly mean that and hope that each of you will consider opportunities to give back to ASEM and help it grow. There are several opportunities for service across a range of activities. We are actively looking for committed volunteers for our professional membership and professional/product development committees. We’re also looking for an Associate Executive Director to support operational needs with the World Headquarters and will send out separate communications on this soon. Also, it is important that we look back at all we’ve accomplished in the past year and offer our heartfelt thanks to those who have rotated out of previous positions! Several others have changed positions, so I’ll save introductions of the incoming team for next time. Sincere thanks to Trish Simo Kush, Brian Galli, Patrick Kush, and Tugrul Daim as they complete their service. We won’t say good-bye, but rather until our next posting to borrow from an old saying in the Cavalry! 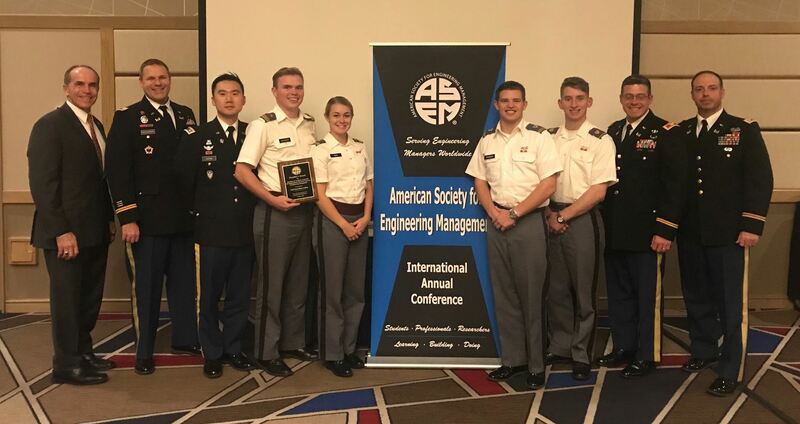 The West Point Chapter of the American Society of Engineering Management is a club for the Department of Systems Engineering at the United States Military Academy. The club seeks to explore how engineering management and systems engineering is applied in the real world through trip sections, luncheons, and guest speakers, and we travel to a variety of conferences and companies each year. The club exists to assist its members in developing and improving their skills as practicing managers of engineering and technology and to promote the profession of engineering management. This award recognizes undergraduate engineering management program leadership. Dr. Daniels is currently a Senior Lecturer in the Engineering Management and Systems Engineering Department of the Batten College of Engineering and Technology of the Old Dominion University. He joined the EMSE faculty on July 25, 2008. Dr. Daniels has over 30 years of experience in organizational management and leadership, communications systems, information systems, management consulting, change management, employee and leadership development and quality improvement in both government and commercial enterprises. He has over 20 years of experience in program management for large scale, mission-critical systems; system development lifecycle analysis; planning and implementation; systems engineering; line management and engineering; culture change and management consulting. 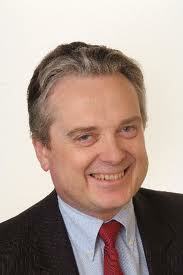 He has also served as a senior executive and Vice President for Engineering for a Fortune 500 commercial enterprise. He has supported NASA Human Space Flight, Science and Aeronautics Research programs for over 25 years at the Goddard Space Flight Center, the Johnson Space Center, the Langley Research Center, the Ames Research Center, the Marshall Space Flight Center and the Jet Propulsion Lab. Dr. Daniels also played a key role as a contractor executive in the design, development and implementation of several U.S. national criminal justice information systems. Dr. Daniels has extensive experience in assisting organizations in developing and implementing plans to achieve business excellence and culture change. He served for five years as a member of the Board of Senior Examiners for the Malcolm Baldrige National Quality Award of the National Institute of Standards and Technology. Prior to his retirement from corporate life, Dr. Daniels currently served as the Director for the Space and Mission Support (SMS) Business Area for Raytheon Information Solutions (RIS). In this capacity, he had overall executive management and leadership responsibility all of the NASA related service business in RIS. The SMS Business Area generated approximately $110 million in annual revenue with over 500 technical professional employees. Dr. Daniels is also a co-founder and chief operating officer of Learning Curve Coalition, Inc. and founder and president of Leadership Dynamics, Inc.
Dr. Daniels is the founder of the ConITS Leadership Institute. In addition, Dr. Daniels is been a lecturer in the George Washington University Engineering Management and Systems Engineering Graduate Program and currently serves as an adjunct in the Old Dominion University and the Florida Institute of Technology Graduate Engineering Management programs. Dr. Daniels is a certified facilitator for Emotional Intelligence, the Myers-Briggs Type Indicator (MBTI®) and the Fundamental Interpersonal Relationship Orientation – Behavior (FIRO-B®) instrument and is certified as a Leadership Coach. 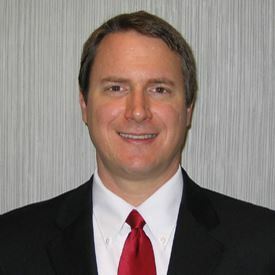 Dr. Daniels is a certified Project Management Professional (PMP®), a Certified Professional Engineering Manager (CPEM), a Certified Scrum Master (CSM) and has been certified as a Level 4 Raytheon Program Manager. 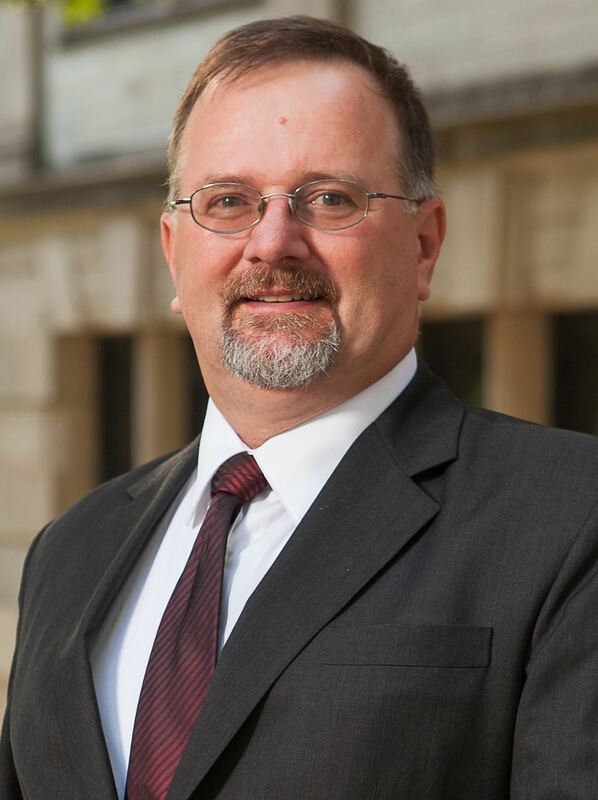 Dr. Daniels is a Member of the American Society for Engineering Management (ASEM), where he is the Southeast Regional Director and a member of the ASEM Board of Directors. As a member of the ODU BCET Faculty, Dr. Daniels teaches a wide range of courses, including Engineering Management, Engineering Ethics, Project Management, Project Management Professional Certification Preparation, Advanced Project Management, Agile Project Management, Finance for Engineering Managers, Capital Budgeting, Financial Engineering, Leadership, Organizational Behavior. This award recognizes an ASEM member who has provided outstanding service to the Society.